The purpose of this chapter is to present up-to-date knowledge on elderly people’s use of Information Communication Technology (ICT), online social networks, and eventual positive effects of advanced technology on the quality of life of elderly people. 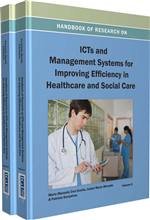 The chapter is based on two previous literature reviews and a new integrated literature review focusing on three main criteria: use of ICT, attitudes of elderly people toward ICT, and benefits of and barriers to the use of ICT. A comparison of the literature reviews shows the level of currently known facts about computer use among the elderly and presents the necessary steps for future research on how to increase the computer engagement of elderly people toward a better quality of life. Research concerning ICT and elderly people has increased during the last few decades, and even some summarising reviews concerning these areas can be found. As a starting point for the chapter, authors have chosen two of them (Kim, 2008 and Blaschke, Freddolino, & Mullen, 2009) and summarised their main results for the purposes of this chapter. In addition, to update previous knowledge, authors carried out a new integrated literature review in 2011, which will be presented later in the chapter. Kim (2008) examined 70 studies, mainly focusing on five themes: motivations and barriers of the elderly regarding the use of computers, age-related differences in learning computer skills and use, instructional tips from different perspectives, changes in attitudes and benefits from the perspective of elderly people and the general Internet use of older adults. The studies discussed in the review were made between 1988 and 2005; the majority are from the years 2005 (11), 2002 (10), 2000 (9), 2004 (8), 1998 (7), 1999 (7) and 2003 (6). Blaschke, Freddolino, and Mullen (2009) included in their review 76 research papers and other literature focusing on elderly people and the use of technology, published between the years 1980 and 2008; most of them are from 2002 and 2008. In all, the two literature reviews analyze 149 articles, and five articles are mentioned in both of them. Digital Empowerment: Maximizing personal potential through digital technology. Online Social Networks: Networks of friends, family, professionals, and other types of groups who connect to each other through the Internet. Seniors, Older People, Elderly People, the Elderly: Mature persons aged 55 and above. Computer Engagement: Frequent use of computer for working or entertainment purposes. Quality of Life: State of individual personal satisfaction (or dissatisfaction) with the cultural or intellectual conditions under which a person lives; also depends on social, financial, and psychological abilities. Information Communication Technology (ICT): Technologies that provide access to information through telecommunications. Social Isolation: Lack of social interaction and communication between human beings, caused by physical separation, social barriers and psychological mechanisms.